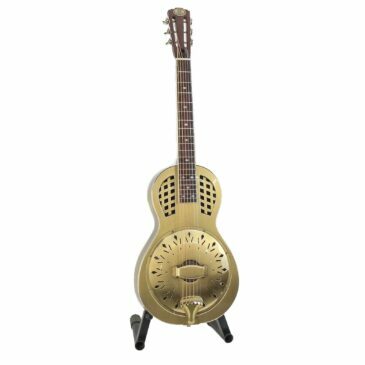 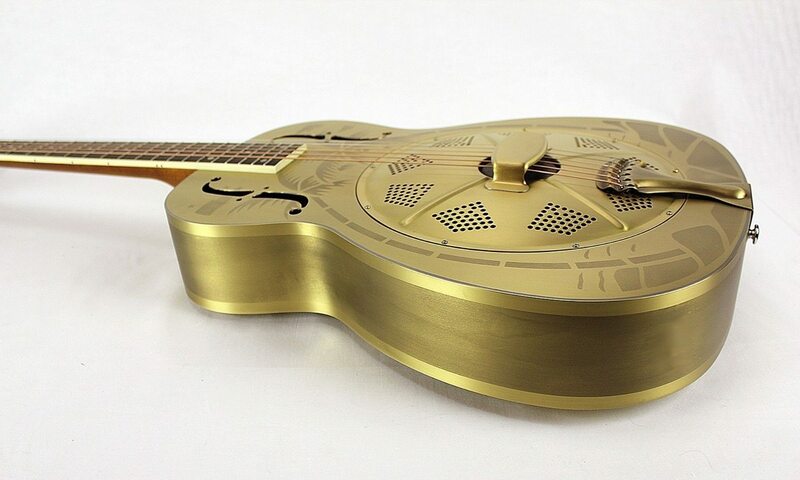 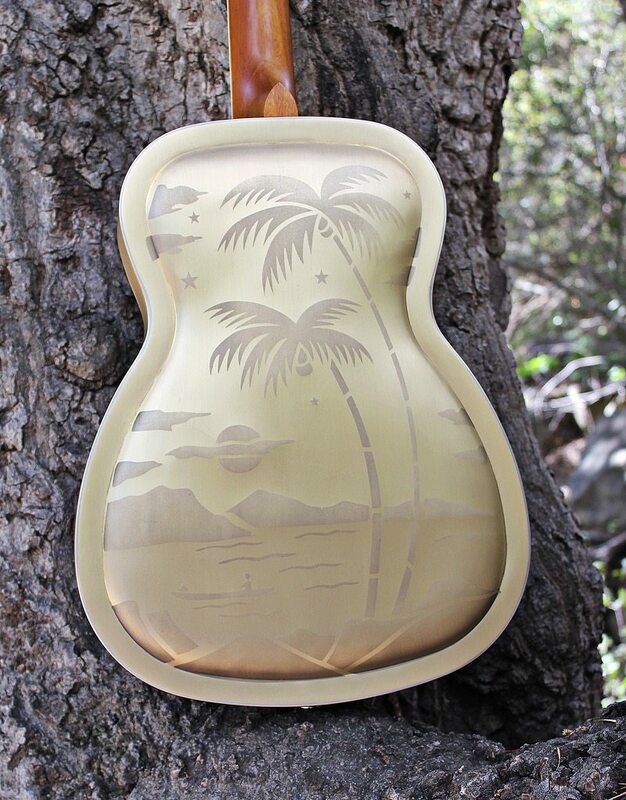 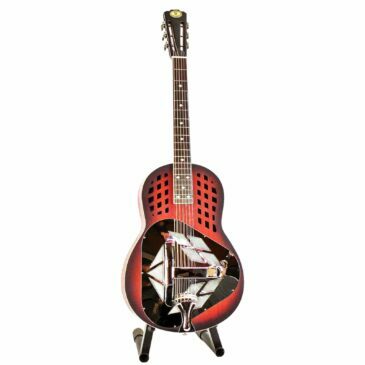 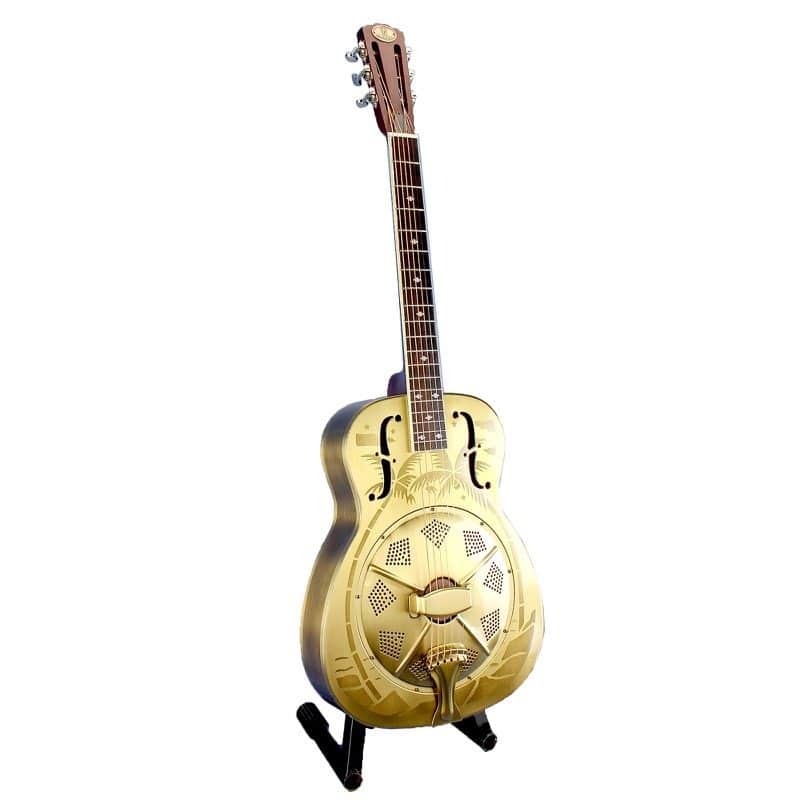 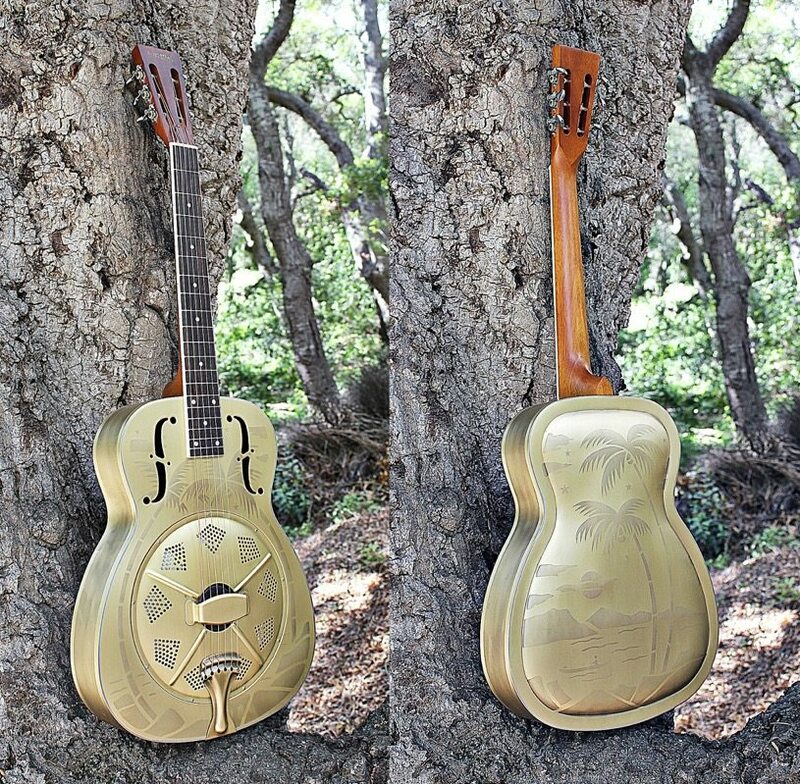 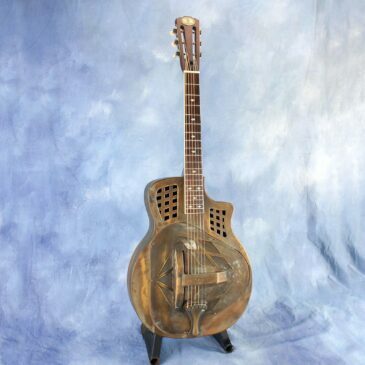 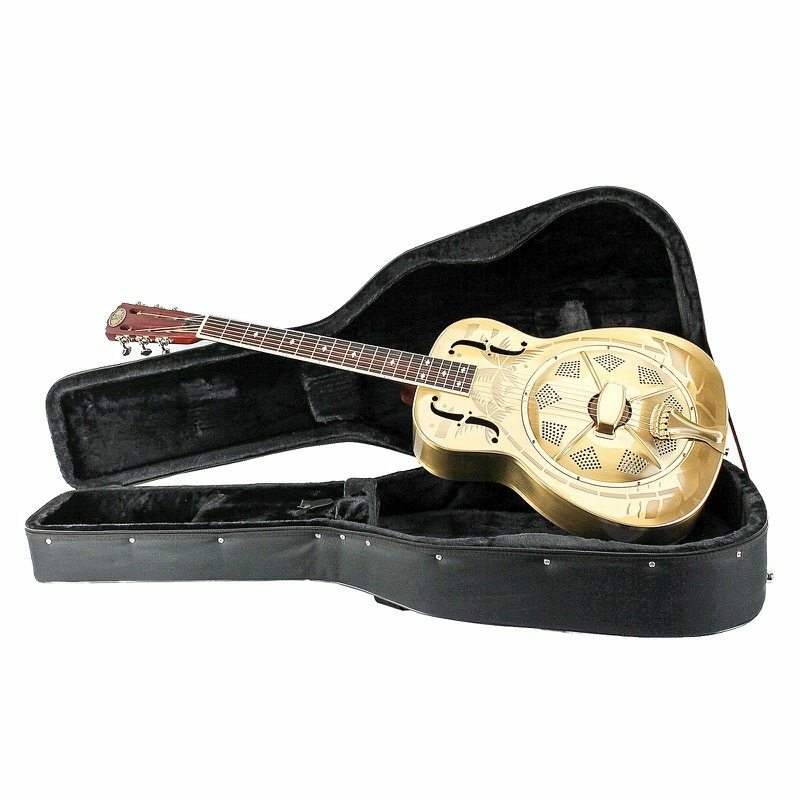 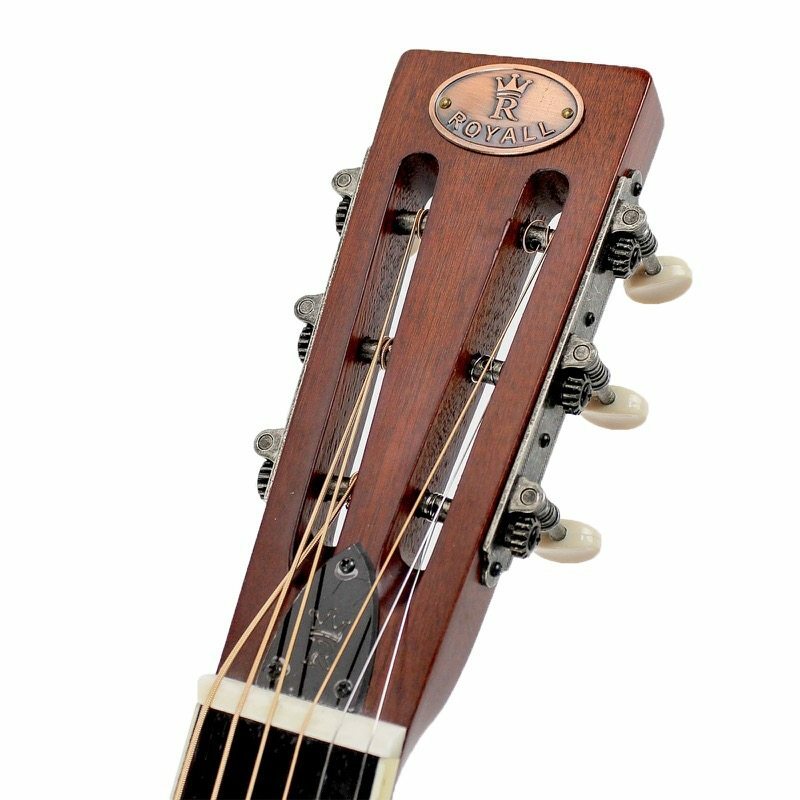 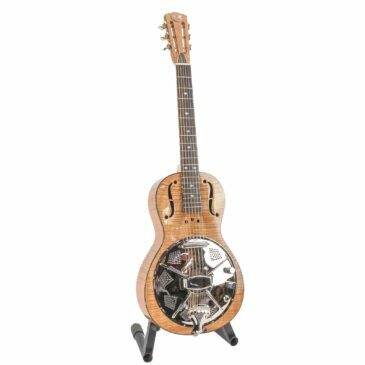 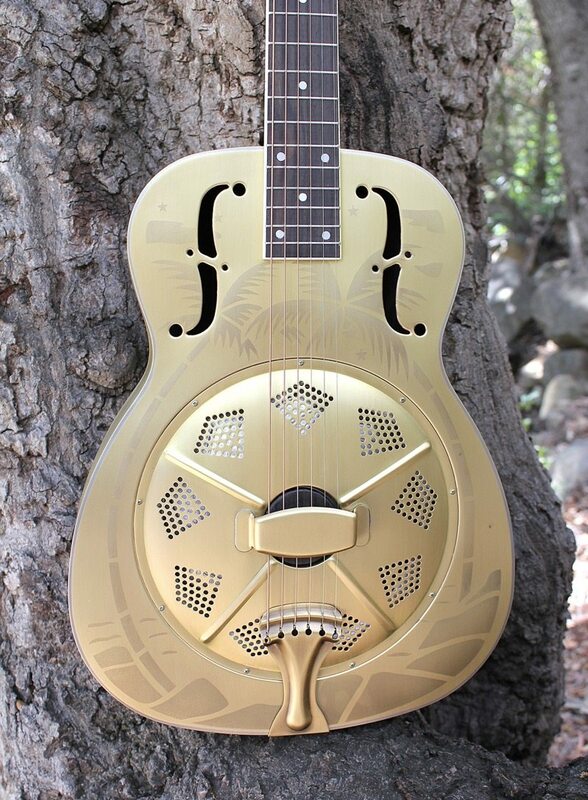 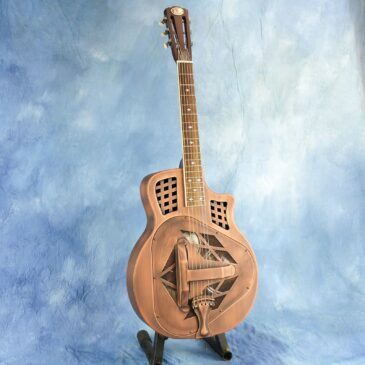 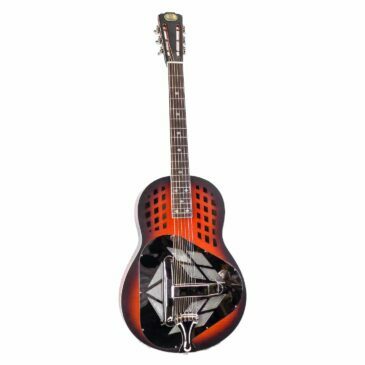 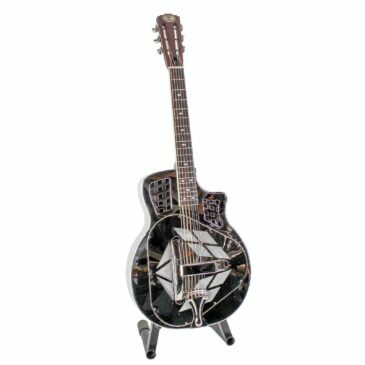 This is our new totally tropical Royall Palmulator resonator. 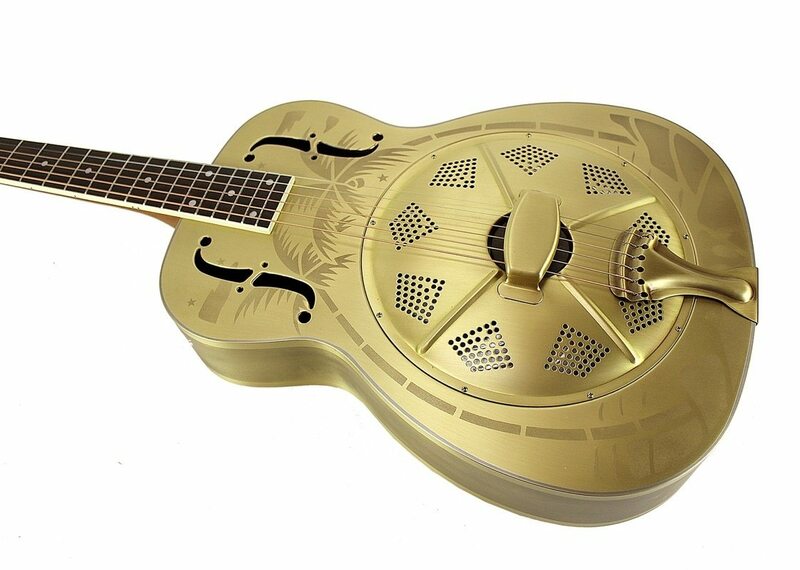 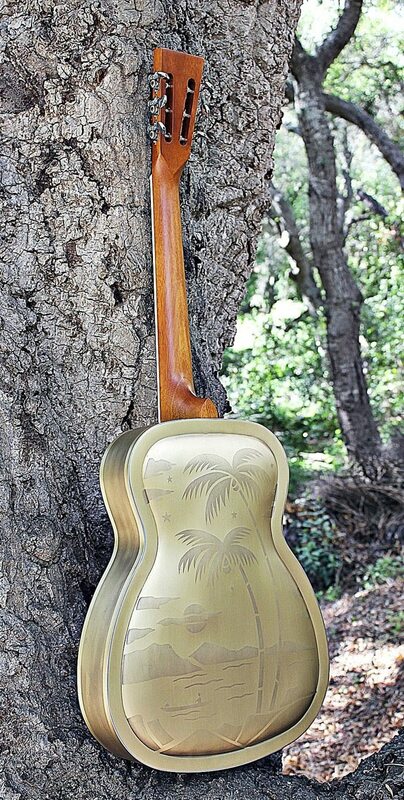 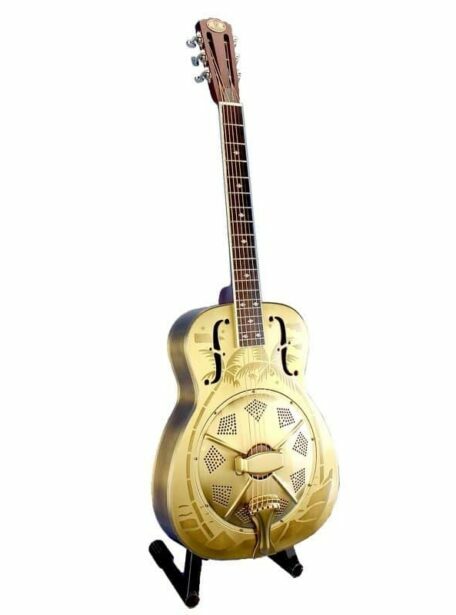 It’s a bell brass body single cone resonator with biscuit bridge and, of course, those breezy tropical scenes etched on top and back. 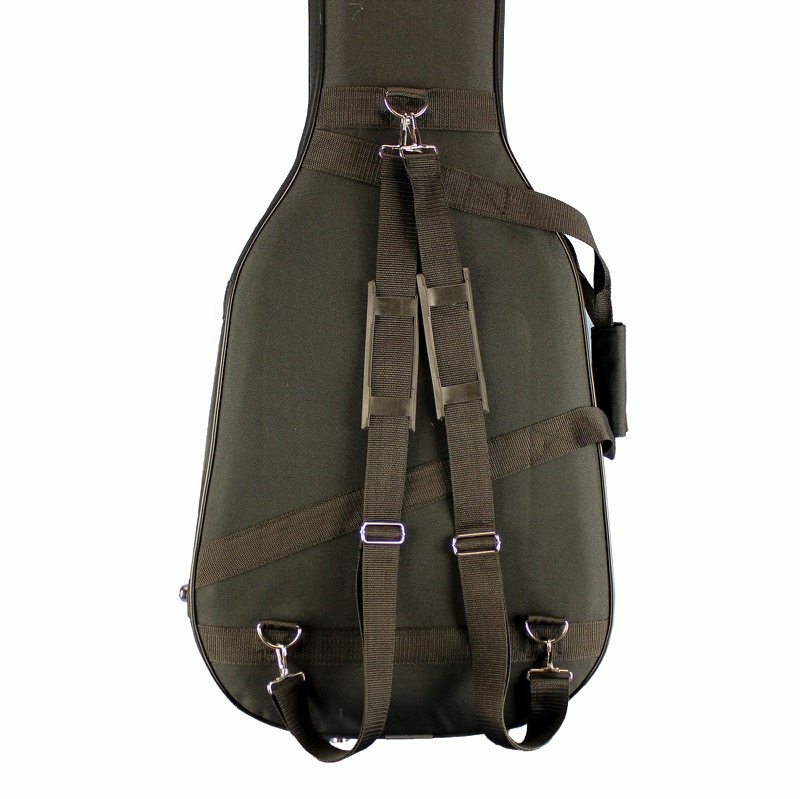 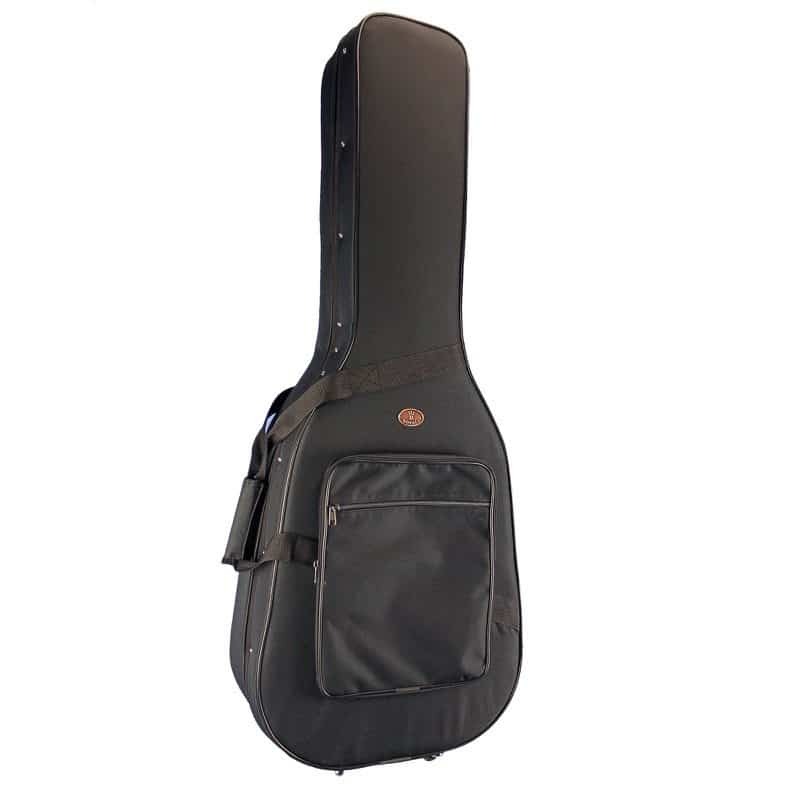 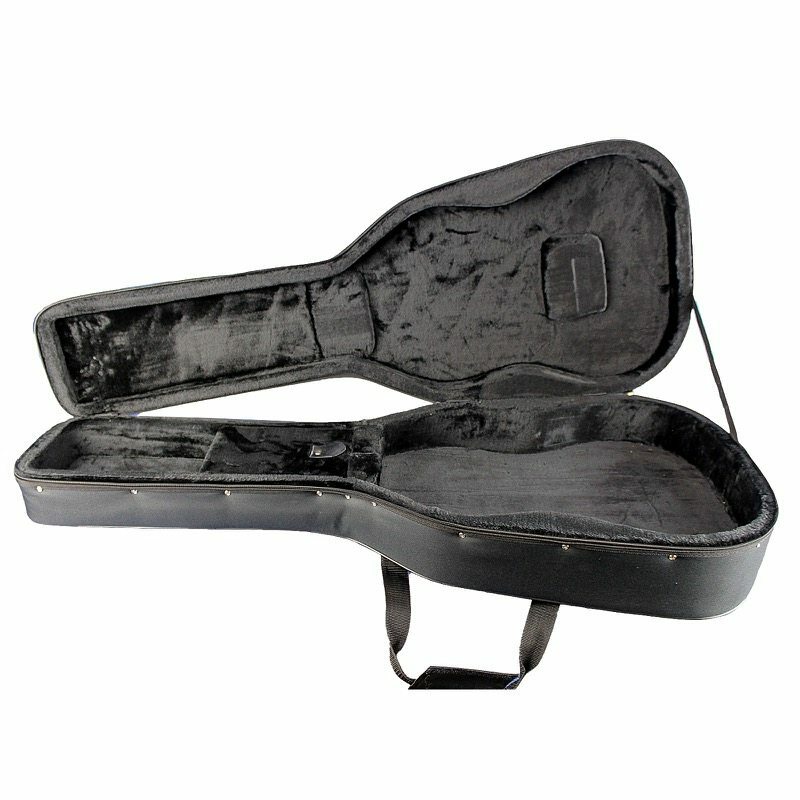 • Fitted case included at no charge.